Video is a very compelling medium, if it’s telling a story you can get more engagement with video which you don’t get with words or pictures. If you aren’t using video to improve your brand visibility online and boost your SEO efforts, you should be. Every business has a website and is fighting for a prominent search engine presence, but there aren’t nearly as many businesses fighting for a YouTube presence. That means that creating and posting videos provides you with more opportunities to target specific keywords. Many businesses are hesitant to create videos for various reasons. Hopefully by clearing up some video marketing myths, you will feel more confident and willing to move forward with a video marketing strategy. The truth is that people love to watch videos, and using them for your business will naturally attract others to your website. Marketing is about being where the people are, right? Well people spend up to 20 hours a month on average watching videos online on sites like YouTube and Vimeo. There’s a reason why YouTube is the second largest search engine after Google. Some people prefer to learn visually and find it more entertaining to watch a video as opposed to reading a blog post or an article. As long as you have something interesting to say and provide value with your video, people will watch it. The key is to provide viewers with of helpful information that has been organized in an entertaining and visual way. It’s extremely hard to achieve a viral video. Just because your video doesn’t go viral, doesn’t mean that it isn’t having an effect. 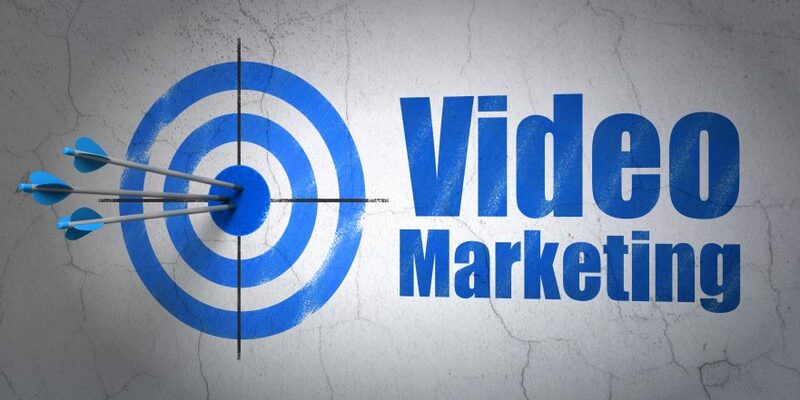 The focus of a video marketing strategy shouldn’t only be on the number of views that videos get. It really serves a much broader purpose. The problem with viral content is that you won’t necessarily get your video in front of the right people. Numbers don’t matter as much as taking a targeted approach to getting your videos in front of the very audience that falls into your business’s target demographic. If you are a well established company, that’s one thing. But if you own and operate a small business nobody expects you to have a video that looks like it cost a few thousand dollars to produce. A marketing video needs to be professional looking, have proper sound and image quality, and provide value. Most phones have cameras these days that will work just fine and there are numerous free or inexpensive editing programs available that can get the job done. Not only that, but the videos created using a smartphone are high enough quality to keep your audience happy. There is a common misconception that a marketing video shouldn’t be longer than a few minutes or you risk losing a viewer’s attention. The truth is that there is nothing wrong with including some long form videos in your video collection. They shouldn’t all be long, but they don’t all need to be short either. Do whatever makes the most sense for the content. If you need more than two to five minutes to get your point across, that’s OK. Create videos that have a wide range of lengths from quick promotional videos to longer videos that are educational. You don’t need to spend thousands on production. You also don’t need to spend thousands on promotion. Promote your videos through your established marketing channels like email newsletters and to your social media fans and followers. If you have the resources to do so, think about paying for a “Promoted Video” on YouTube. The costs aren’t nearly as high as paying for Google AdWords. Videos need to be helpful, informative, and entertaining. Not only that, but your leads and customers find certain types of content more helpful when presented in a video. For instance, if you are a software development company that offers a manufacturing operations software package, it’s a good idea to produce a series of videos on how to use the software program that will go along with the written instructions. Your customers will find this a lot more helpful and may even encourage them to purchase your software product over your competition. As you can see, videos can be part of not only your marketing strategy to get new business, but can also be considered a strong benefit for using your products over your competition. Don’t let any of the myths mentioned above get in the way of your success! Don’t hesitate…the time is now for you to experiment and explore new Ideas.